There are some fantastic prizes to be sold at our No Reserve Auctions once again this year. We have great news for you if you are in the market to buy a caravan this year. The Covi Motorhome Caravan & Outdoor SuperShow in conjunction with Trail Lite are auctioning a $63,000 caravan at no reserve. 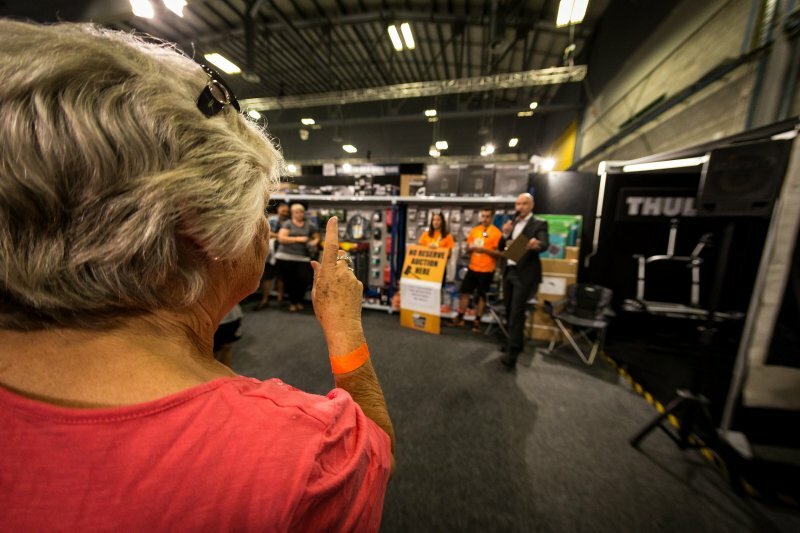 This is a stunning offer and is surely one of the biggest no reserve auctions at any show in the country and is certainly the biggest at any motorhome or caravan show in New Zealand. A Bailey Pegasus Rimini will go under the hammer at 12pm on Saturday 17 March . A revolutionary satellite system controlled entirely from your TV. The Alden AIO system is the most compact and user-friendly satellite and TV system on the NZ market. The Alden EVO is also the lowest profile dish (150mm) on the market. The THETFORD N3185 3 way Model Fridge - Lewis Gray Ltd RRP $3450.00. With a 3 year Warranty this slimline refrigerator with freezer has been developed for the New Zealand RV market by THETFORD the trusted name worldwide for 49 years. Thule are recognised as the market leader in bike racks. With a massive 50kg weight carrying capacity it is ideally suited to e-bikes and also allows users the option to purchase additional rails to accommodate up to three bikes. Equipped with a 300w motor, Samsung Lithium Ion battery, front and rear disc brakes and Shimano 7 speed gearing, you’ll arrive at your destination in great shape.